Seemingly every day, our understanding of mental health grows. There’s still a long way to go, but we have at our disposal almost infinite resources for patients and professionals alike, helping everyone gain powerful insight into these conditions. One thing we now know for sure is that mental illness can be fought. However, with so many contrasting opinions, misunderstandings and low-quality sources, it’s easy to feel like you’re drowning in information. In times of crisis, it’s not always possible to scour Google for an appropriate form of support. It can be difficult to vet information and sources when you’re struggling with mental health problems. This post provides a range of mental health resources that are appropriate for sufferers of all different conditions. Gaining deeper insight into the inner workings of your condition and ways to manage it can be incredibly empowering. The internet is the perfect tool to help do just this – as long as you visit the right places. It might take some searching, and you might even need to visit otherwise blocked websites to get the information you need (depending on where you live), but the benefits you stand to gain will be well worth the effort. There are many domains available that provide facts on mental health, though not all can be trusted. Misinformation is a chronic problem, and following bad advice could actually make your mental health worse. Be wary of guidance from untrained advisors or patients who do not fully understand their diagnosis. 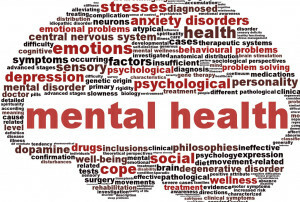 Using high authority websites and blogs such as Mental Health Ireland will serve you much better than unknown entities. One of the best resources for universally accepted truths about mental health is the WHO. Officially founded 1948, the idea was first proposed by the United Nations in 1945. The organization now employs 7,000 people in 150 countries to combat disease and promote health. In the general information section on their website, you can find helpful fact sheets on mental health plus regularly updated news from around the world. There are also helpful animations and information for regional support as you scroll down the page. Solely relying on the internet for support can be quite isolating and even make things worse. If this is the case, then the US Department of Health & Human Services can be a fantastic resource. Their website gives detailed information about a wide variety of conditions, as well as guidance for anyone who may be struggling with mental illness or trying to help someone close to them who is. It’s not always easy to find long-term mental health support. There’s a chronic lack of affordable, ongoing care. Plus, even when access is possible, feelings of fragility or just plain old bad days can make it difficult to leave the house to make scheduled appointments. Due to this, online options can be a great alternative. As with any internet resource, though, it’s important to stick to trusted sites. The following are all highly-rated mental health management tools. E-Counseling has become increasingly popular as the internet continues to dominate our day-to- day lives. Particularly among young people, the social stigma around therapy is significantly lessened by the ability to receive counseling in their own home. Ingenio is a service that has been running since 1999. You can choose an advisor you connect with, and all sessions are available via online video chat or message. There is a cost, but new users are given $40 towards their first session when they sign up. Paying for counseling can be tricky for mental health sufferers as balancing money is a difficult task at the best of times. If you can’t or don’t have the funds for a paid service, then 7 Cups is a free alternative that offers ongoing support. One particular benefit is that the app allows you to remain anonymous, which can significantly lessen the anxiety around opening up to someone. On registration, you can choose a ‘listener’ based on life experience or affiliation for regular chats. There is also the option to see a trained therapist if you require more support. Health professionals are increasingly advocating meditation to combat mental health problems. Headspace is a user-friendly resource that helps you gently embrace the practice. It offers a free 10-day introductory course to teach the basic principles and to address potential obstacles, such as the inability to quiet thoughts or tune out distractions. For a yearly fee of around $95, you can build on your foundation skills or choose targeted sessions on health, relationships or performance. Everybody deserves to receive the help they need. Unfortunately, though, it isn’t always easy to find and access good resources. Being aware of top-class resources, such as those listed above, could significantly improve your or someone else’s quality of life. Share this post or save it for later so that you’l always have it on hand when it’s needed. Caroline is a health and wellness blogger, who likes to focus on mental wellness and utilizing technology to make our lives better. She hopes that this information will help you find the information you need. This entry was posted in mental health, self help and tagged be well, blogger, empower, limerick mental health assocation, mental health, mental illness, positive mental health, recovery, self help, self-care, support, wellness, world mental health day by lkmentalhealth. Bookmark the permalink.